The Hunter Legacy, currently in post-production, is a documentary that explores the impact humans have on wildlife and the ecosystems in Africa, seen through the eyes and experiences of the Hunter family. The focus of the film is on Alex Hunter —conservationist, safari guide, and grandson of J.A. Hunter, a well known safari guide and prolific big game hunter from the early 20th century. Unlike his famous grandfather, Alex rejects trophy hunting in favor of walking safaris and wildlife conservation efforts. As we explore the pressing issues facing wildlife in Africa today, we will spend time with Alex in his Kenyan bush camp home, on safari, and among fellow conservationists such as Richard Bonham of the Big Life Foundation and Richard Moller of the Tsavo Trust. Throughout, we will explore the pressing issues of human/wildlife interactions, local politics, trophy hunting, and poaching as well as delving into his family's legacy and his place in modern Africa. Alex Hunter is cognizant of his family's legacy of trophy hunting. He sees only a shadow of the Africa that his grandfather once knew and is acutely aware of how much has changed on this iconic land. Many of the species that were once common in his grandfather's day are endangered, some critically so, and their future in the wild is in question. 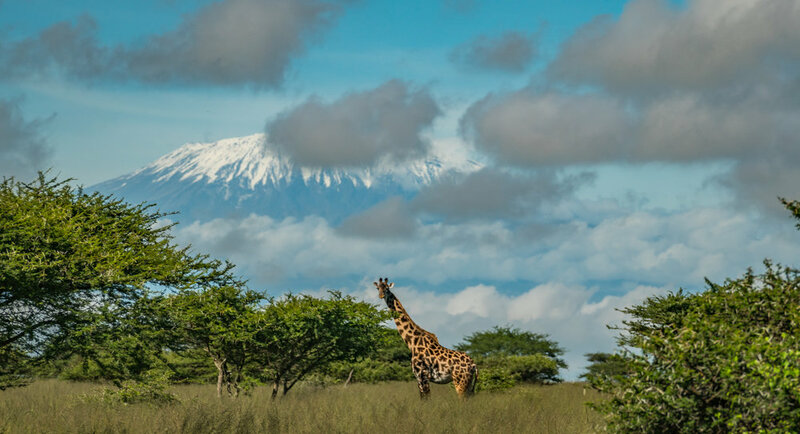 Facing pressure from expanding urban areas, poaching, conflict with farmers and herders, drought, and a myriad of other issues, there are few African animals whose habitats and populations aren't under threat. Today, Alex is based on Kenya's Ol Pejeta Conservancy —home to the world’s last wild Northern White Rhinos and several dozen critically-endangered Black Rhinos— where he leads hiking and photography safaris and works on conservation issues throughout East Africa. Alex hopes that sharing his experience, knowledge, work in this film will expand knowledge of these issues, offer tools, and spur action towards curtailing the ongoing loss of African species, wildlife habitats, and fragile ecosystems. A unique aspect to this film is that the story of Alex's family legacy is brought to life through the original journals and hours of film footage from the 1937 Sykes safari and these first-person accounts and fascinating films detail a world that no longer exist and a philosophy towards wildlife that is increasingly rare in the modern era. Adding to the depth of historical background for this film are J.A. 's numerous books about his career as a hunter and guide, and conservation efforts later in life. As a prominent guide and renowned white hunter, J.A. Hunter led some of the world’s richest and well-known people on hunting safaris during the early 20th century. J.A. himself held several world records for his sheer number of Big Game kills. Only later in life did he realize that these unsustainable actions might lead to the extinction of the very wildlife he loved. The Hunter Legacy's focus on Alex Hunter and his family's legacy of a century in Africa will spur action on present day issues by comparing and contrasting the Africa of the early 20th century to that of today, more than a century later. Through captivating cinematography and storytelling, including glimpses into a bygone era, the changing ideals and philosophies of one of hunting's most lauded family's can illuminate the challenges facing African wildlife and cultures in the twenty first century. To inquire about opportunities to support or partner with us on this project, visit the project website here.